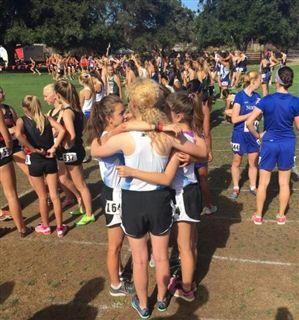 Last weekend, Pacific Ridge's Coed Varsity Cross Country team, on its first ever team trip, traveled to the Bay Area to compete in the Stanford Invitational. The team faced tough competition from more than 30 Western Region teams, but that didn't stop two runners from giving medal-worthy individual performances. Junior Lynnlee Duck-Reynolds finished 29th in a field of 167, while senior Travis Headapohl came in 35th in a field of 189.